Designed utilizing some key elements from the Aspire Breeze 2 and Spryte, the Nautilus AIO was crafted for portability and traveling. The massive 4.5ml replaceable Nautilus Pod can be refilled via a seal plug located at the bottom of the reservoir. The 1000mAh rechargeable battery is equipped with an intuitive 3-stage LED light indicator for monitoring battery life. The Nautilus has a user friendly button-activated firing mechanism and adjustable airflow vents for the replaceable Nautilus BVC coils, which allow people to vape to their preferences, whether it be mouth-to-lung or direct-to-lung. Considering its modest size, the Nautilus AIO Kit provides all the incredible performance and reliability that fans of the Aspire Nautilus line have grown accustomed to. The Aspire Nautilus AIO Kit utilizes the popular Nautilus BVC coils, which have become the model high resistance coil in the vaping industry. With the introduction of the Nautilus AIO Kit, comes the new Nautilus BVC NS Coil which is specifically designed to suit nic salt juice. Both the standard and NS coils operate at 1.8 ohms with a vertical coil configuration that provides intensely concentrated flavors, yet less dense and more discreet clouds. The Aspire Nautilus AIO Kit is extremely convenient and easy to use. The removable Nautilus AIO Pods can be filled with your favorite e-liquids, and come preloaded with a replaceable Nautilus BVC coil so that you can swap out flavors on the go. Carrying a spare pod already filled with your favorite flavor and loaded up with a fresh new BVC coil is a perfect option if you don't have the time to stop and refill your tank. If you're looking for an AIO pocket device with plenty of options that easily fits into a pocket or purse, look no further than the Nautilus AIO Kit by Aspire. *Please Note: The Aspire Nautilus AIO Kit does not come prefilled with e-liquid. You can fill (and refill) your Aspire Nautilus AIO Pod with your choice of e-liquid via the fill plug at the bottom of the replaceable refill pod. The Aspire Nautilus AIO Kit is not compatible with other Aspire coils. Replacement Aspire BVC 1.8 ohm Coils can be found HERE. Do you still have questions about your Aspire Nautilus AIO Kit? 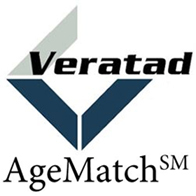 Would you like to know more before you buy? 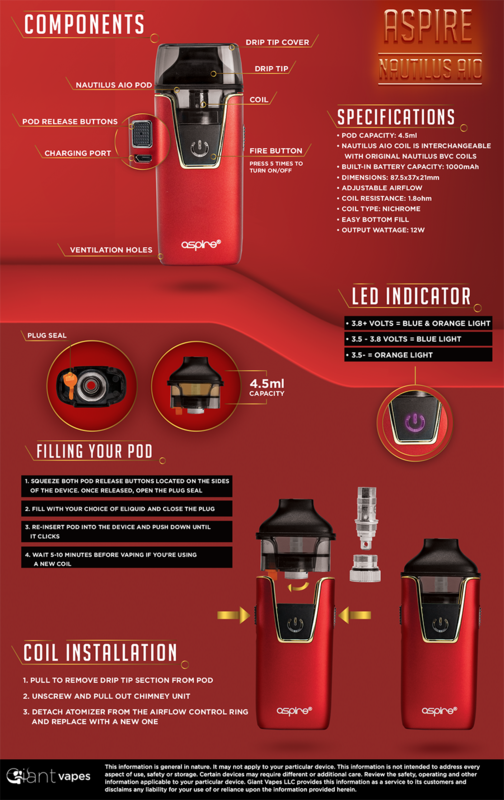 Check out our infographic and Giant Vapes How-To video for the Aspire Nautilus AIO Kit below.